Water Intake Tower #1 is an oval shaped stone structure, Romanesque in style and identifiable by a green conical shaped roof. It was built in 1894 and designed by William S. Eames. 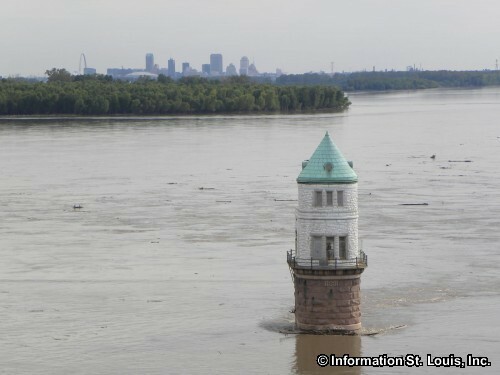 Today it is still in use by the St. Louis Water Works and draws water into a seven foot diameter pipe which then takes it to the Chain of Rocks Plant. 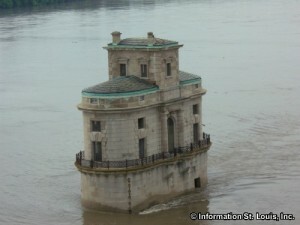 It has been designated as a St. Louis City Landmark. 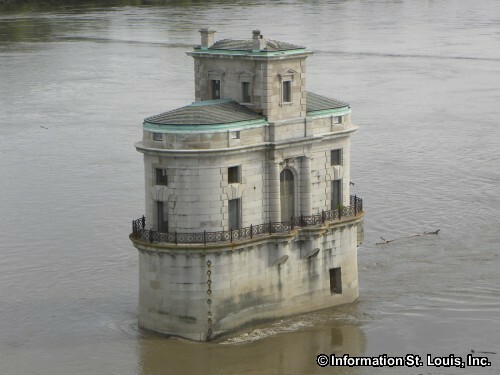 Water Intake Tower #2 was built in 1915 and is also designated as a St. Louis City Landmark. The tower was designed by Roth & Study, who styled it after a Roman villa. It is unique in that it contained living quarters for the workmen who were on duty around the clock to man the gates and control the amount of water that was drawn from the Mississippi and sent to the Chain of Rocks Plant. Today this job is done electronically, thus the tower stands vacant. 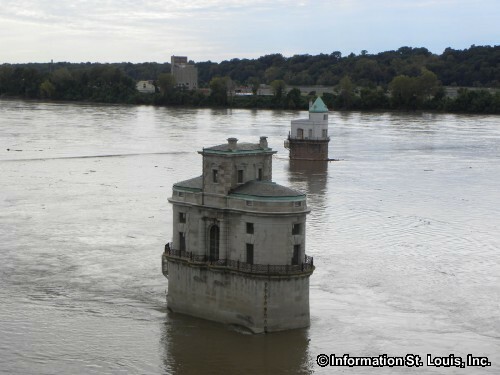 It is also still in use today by the St. Louis Water Works.